This is a balance between understated glamour and a simple piece of furniture. This brings out the true glamour of this mirrored floor standing lamp. 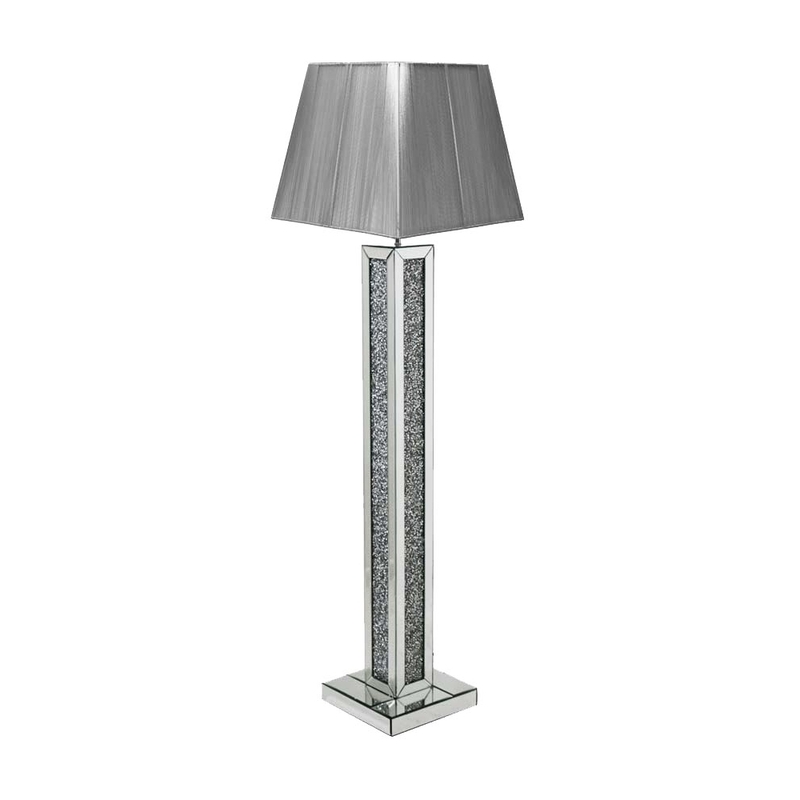 This lamp is finished with a shining diamond like crystals along the borders of this lamp. This floor standing lamp is made of mirrored glass and MDF. This truly beautiful lamp is part of the Gatsby collection.